Our firm takes pride in providing comprehensive retirement planning services to our clients. 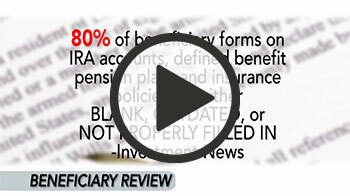 We review our clients’ wills, estate plans/trusts, taxes and insurance. ** Our comprehensive services integrate all aspects of our clients’ financial picture in a coordinated effort to provide for financial clarity and multi-generational wealth. Craig Dickson does not provide tax and/or legal advice, but will work with your attorney or independent tax or legal advisor. In the event that you do not have your own attorney or tax professional we will partner with local CPA firms to provide tax services. **Insurance products and services are offered through Investment Executives, Inc.